Vijay is an exceptional actor with plenty of potential, a talent so underutilized. Over the last 25 years Ilathalapathi Vijay has delivered few memorable performances.This is the 25 year! That’s cool. There is not a single movie which showcases his talent on the whole. Comedy like Friends, emotion like Kavalan, romance like Sachien, action like Theri, and anger like Ghilli. His performance in Kushi and Friends was hilarious, and he was solid as Kannukkul Nilavu, but he deserves more. The minor drawbacks of his filmography are those few ‘suspense thrillers’ like Sura, Villu, Kuruvi, Puli, Vettaikkaran etc. Yes, those are ‘suspense thrillers’. Seeing Vijay working in piece of craps like those is THE ‘surprise’. In fact I wouldn’t be surprised if you don’t accept my statement that he is an underused actor after seeing these ‘suspense thrillers’. That’s how well the makers of those films used Vijay in their respective movies, with absolutely no respect for the movie audience. He keeps his stardom and market on top, but hardly to the caliber his talent warrants. Let’s take a look back at some of Vijay’s best film performances to date. These films are listed not in any order related to the movie’s quality but only considering his performances. Ghilli: Have you noticed his eyes? They are sharp. The best part is, they are very expressive. All the good directors who worked with Vijay have used it very well. Check the scenes: the first meeting of Vijay-Trisha-Prakashraj, and then the scene just before ‘Arjunaru Villu’ song. This is why I wish to see Vijay with directors like Gautham, and Selvaraghavan who uses silence and actors eyes to convey certain emotions. Ghilli was one of the biggest successes of that year, and this Dharani film set up a whole new chapter of Vijay’s career. Theri: Ok, I am actually not a fan of this movie but I really enjoyed watching Vijay in this more than any of his movies after Ghilli. Lot of fun and… I just love it! This movie has a little bit of everything. Vijay characteristically gives this film his all. He has much controlled performance unlike in Puli or Villu. Priyamudan: This was the film which Vijay finally able to show his range. Vijay plays a psychotic murderer in this romantic-thriller. He utilized the rare chance to show off his dark side. I don’t think he will ever again do a negative character like this! So if you have not seen this, give a try. Watch out for the airport scene where he ignores a call he receives in his mobile. Kaththi: Has the Murugadoss’s favorite ‘information’ giving and ‘questions’ asking scene and is so quotable. More than that, Vijay’s sound modulation was very good. That is something we forget to mention always. Thanks to Sura and Jilla kind of movies. Vijay is one of the best in terms of sound modulation and dubbing. Leave those classic movies like Vettaikkaran. I am talking about movies like Poove Unakaage, Love Today, Thuppaakki and this one. Kushi: It’s an extremely fun movie. Probably the best part about this movie is the main leads. I know it’s been said before, but I’m gonna repeat: Vijay and Jyothika have incredible chemistry. Jyothika is very cute in this even though we see the blinking of Chandramukhi here and there. Since the topic is different, I am not going deep into that. They’re fun to watch. Thuppaakki: It’s a well made action-thriller that rewards repeat viewings, especially for two great action scenes. As an example for what I mentioned earlier about Vijay’s voice modulation, the roof top scene is so perfect that Akshay Kumar, in the remake, couldn’t come close to Vijay. Comparison is bad but I just thought of Vijay while watching Holiday. That’s how it works. 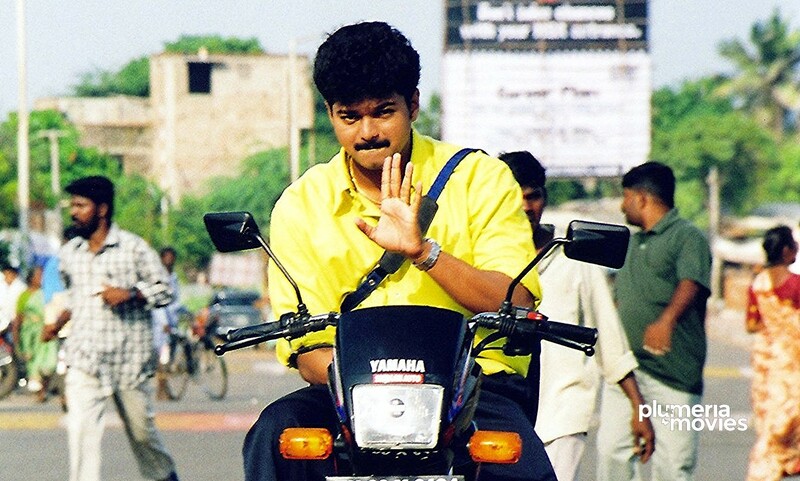 Sachien: Leave this movie’s similarities with Vijay’s own Kushi, we saw a very energetic, and lovable Vijay. I think it’s funny, enjoyable to just see him simply talking to Genilia with that Ootty-breeze like background scores! This film is plain fun to watch. Friends: Forget the forgettable climax action scene, this movie has some very well executed comedy scenes. Comic timing of Vijay is so good that we can easily place him after Rajini and Kamal, yes now we have Siva Karthikeyan, the expert. Vijay and director Siddhiq are good together. They have great chemistry between each other they should do more project together. The comedy scenes in the ‘Palace’ are revelation. There are memorable moments in their other movie, Kavalan, also. Who can forget that scene at the park! Thullatha Manamum Thullum: The movie which made me watch all his other movies. This should be way above in the list but this movie is not giving the same feeling that of 2000. Oops thanks to those irritating comedy scenes of some loudspeakers, I mean the ‘so called comedy actors’! Anyway, I occasionally watch this movie again (with a hand on the forward button) for Vijay, Simran and the songs. Nanban: This is one of the most calm and cool performances by Vijay! It’s not an extraordinary remake, but it is sure worth seeing for the different kind of heroism of Vijay. What kind of movies we would like to see Vijay in? I wish to see him in a movie like Pa. Ranjith’s Madras. In characters which are realistic, in characters which we see on the next street. He can be the actor perfectly fit for Pa. Ranjith films or say, Gautham Menon movies. Hope his upcoming movies (good combinations are lining up) will give good scope for him. Hope he gets more selective about the directors and scripts he works with.